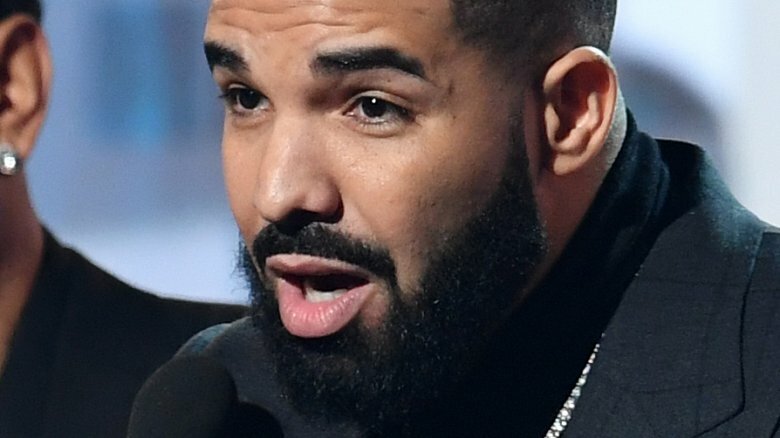 Rapper Drake didn't have long to deliver his acceptance speech at the 2019 Grammys, as his mic was muted after he took aim at the award show. The Scorpion artist took the stage at the 61st Annual Grammy Awards after winning best rap song, beating out the likes of rappers Kendrick Lamar and Travis Scott for his track "God's Plan." But rather than just thank his fans or his colleagues for their support while accepting the award, Drake took the opportunity to slam the Recording Academy, as reported by Consequence of Sound. "We play in an opinion-based sport, not a factual-based sport," Drake told the audience and viewers watching at home, "so it's not the NBA, where, at the end of the year, you're holding a trophy because you made the right decisions or won the games." Noting that the industry "might not understand what a mixed-race kid from Canada has to say, or a fly Spanish girl from New York" (via Vox), he added, "The point is, you've already won if you have people who are singing your songs word for word, if you're a hero in your hometown." Drake, whose real name is Aubrey Graham, continued, "Look, if there's people who have regular jobs who are coming out in the rain, in the snow, spending money to buy tickets to your shows, you don't need this right here. I promise you, you already won." And, just then, as Drake was continuing his point with a "But," his mic was abruptly cut, and the show went to commercial break. Interesting timing, huh? And people definitely noticed. Following the awkward moment, one BuzzFeed News reporter tweeted out, "The whole press room just collectively 'ooooooo'd' when Drake got cut off from finishing his #GRAMMYs speech. (Conveniently after he said, 'You don't need this right here…' talking about seeing a Grammy award as success.)." Well, according to a Grammys representative, Drake's microphone was silenced because producers thought that Drake was done speaking. Simple as that. "During Drake's speech, there was a natural pause and at that moment the producers did assume that he was done and then cut to commercial," the rep said in a statement. Furthermore, the spokesperson noted that, once they realized their mistake, producers gave Drake the chance to complete his speech, but Drake declined. The statement read, "However the producers did speak with Drake following his speech and did offer him to come back on stage to finish whatever his thoughts were. But Drake said he was happy with what he said and didn't have anything to add." Drake, 32, later addressed the headline-making moment on Instagram. Sharing a photo of the envelope that revealed his big Grammys win, he wrote in the caption, "Too raw for TV," alongside a television emoji and a tears of joy emoji. As reported by The New York Times, Drake was amongst celebrities who had said no to performing at the Grammys. 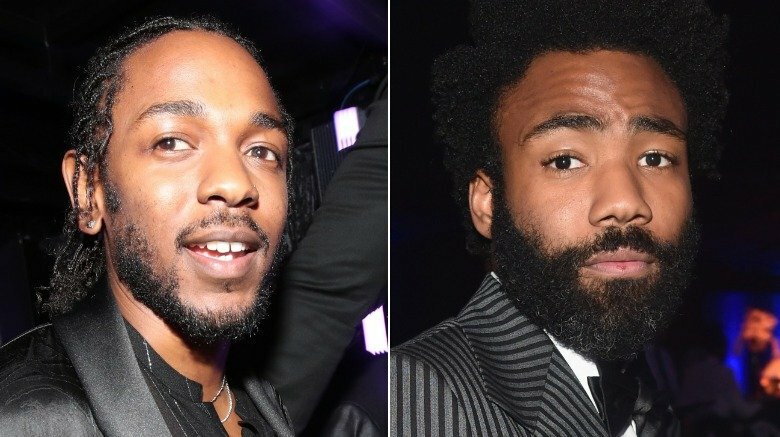 Childish Gambino and Kendrick Lamar both turned down offers to perform at the 2019 award show, reportedly due to the Grammys' previous lack of recognition for the hip-hop community. Singer Ariana Grande also declined to perform at the Grammys, as she told fans that, while she'd initially hoped to sing at the event, she felt that her "creativity & self expression was stifled." After Grammys producer Ken Ehrlich told the Associated Press that Grande pulled out of performing because she "felt it was too late for her to pull something together," Grande hit back, saying, "I offered 3 different songs. It's about collaboration. It's about feeling supported. It's about art and honesty. Not politics. Not doing favors or playing games. It's just a game y'all.. and i'm sorry but that's not what music is to me." A number of music industry stars, including Gambino, Lamar, and Grande, didn't even attend the Grammys. Among them were celebs like Beyoncé, Taylor Swift, and Rihanna. According to Time, some celebs simply couldn't make it to the event due to busy schedules, while others were taking a stand against the Recording Academy for past snubs. Time wrote, "In a nutshell: the Grammys need these artists more than these artists need the Grammys." Drake was largely expected to skip out on the Grammys, as he hasn't even gone to the awards show since 2013. And given how his mic was cut off during his acceptance speech, we're not so confident that he'll want to attend 2020's show. As one social media user tweeted, "Lol they cut Drake off, he's never coming back. #Grammys."